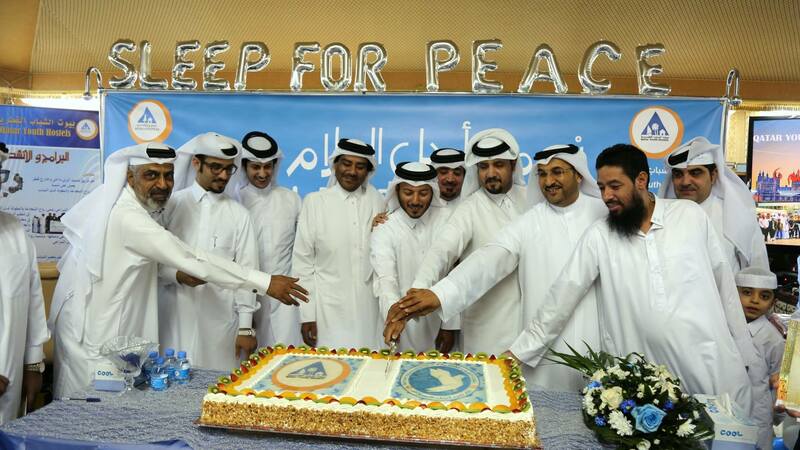 Sleep for Peace – Wake up to a better world! Whoever you are, wherever you come from, you are invited to share and celebrate #SleepforPeace with us! Have you added the Sleep for Peace frame to your profile picture yet? To start conversations: we wish to highlight the role of our hostels as safe places where cultures meet. Let`s celebrate all these funny dorm conversations lost in translation, international meals shared in the common kitchen with ingredients you can`t pronounce, and long-lasting friendships created along the road with people who are the total opposite of you! This year, our hostels will again celebrate diversity and highlight the role of youth hostels in mutual understanding, intercultural connections and peace during the week stretching between the International Day of Peace (21st of September) and World Tourism Day (27th September), and beyond. 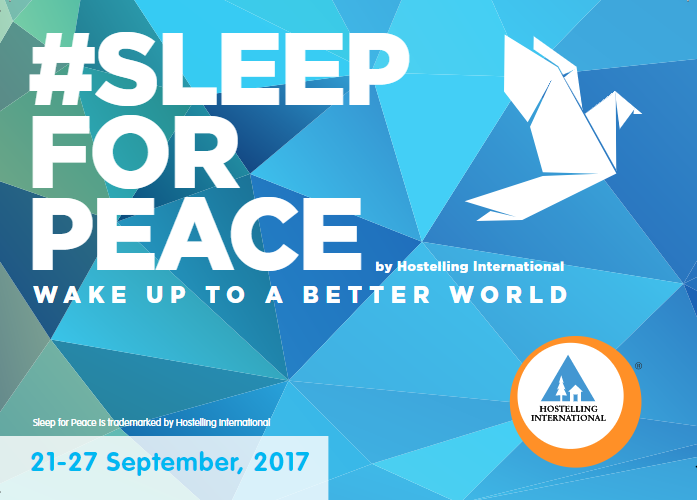 Sleep for Peace is also part of Hostelling International`s programme of celebrations for the 2017 UN Year of Sustainable Tourism for Development. Our initiative is supported by the UNWTO and has been growing in numbers and more importantly in significance over the years. Talk to someone new, break the ice and learn something about your fellow explorers! Let us know what you’ve discovered, snap and share a picture of you two with this poster on social media #Sleepforpeace! Diversity, tolerance and youth travel are at the very core of the hostelling movement. A lot! Click on the countries below to see what our hostels are preparing for you. Check it out! Our hostels in Brazil are making a whole lot of space for you to express your thoughts about peace. Find a peace corner (clothesline, mural and even tree!) where to leave your note and read other guests` messages in all of these hostels: Aju Hostel, Chapada Hostel, Caminhos da Chapada Hostel, Roma Hostel, Hostel 7, Hostel 7 Rua Direita, Hostel 7 Goiânia, Ponta Verde Hostel, Liras da Poesia Hostel, Missões Hostel (here, a music show in bonus! Make sure to attend! ), Natal Eco Hostel. Natal Eco Hostel will also distribute the official Sleep for Peace card for you to send all over! It`s all about spreading the message and starting conversations! Again this year, HI Canada will be donating $1 per overnight in participating hostels across the country on September 21st to the Youth Travel Foundation. Last year, hostels in Canada donated $1,683 for a Sleep for Peace travel grant! Last year, with these donations, a grant has been created and a competition has been created! You have until November to submit your video about peace! Participants must be Canadian residents. The hostel will host a group meal for all to join and a board will be at your disposition in the lobby to share yur toughts about peace. Express yourself! El Viajero Hostel Cali, El Viajero Hostels Salento, El Viajero Hostels Cartagena and El Viajero Hostels San Andrés will be taking part in the peace-building movement and spread the shared message – “Wake up to a better world”! Entire mosaics of cards will be created with the postcards written by guests. Put your words to work and leave your peace message! Around 70 of our German hostels will be involved in the peace-building movement. All sorts of activities are planned to show support, so make sure you pass by and take part in the conversation! The Icelandic hostels have prepared a whole marathon of activities during the whole week! 27/09: Closure video: montage of questions asked to guests on sustainable tourism and peace uploaded on Facebook. Make sure you leave the team a message to take part in this video! 21/09: Minute of silence at noon // Evening: opening video “The Day After Peace” + speech, followed by an Accoustic concert! 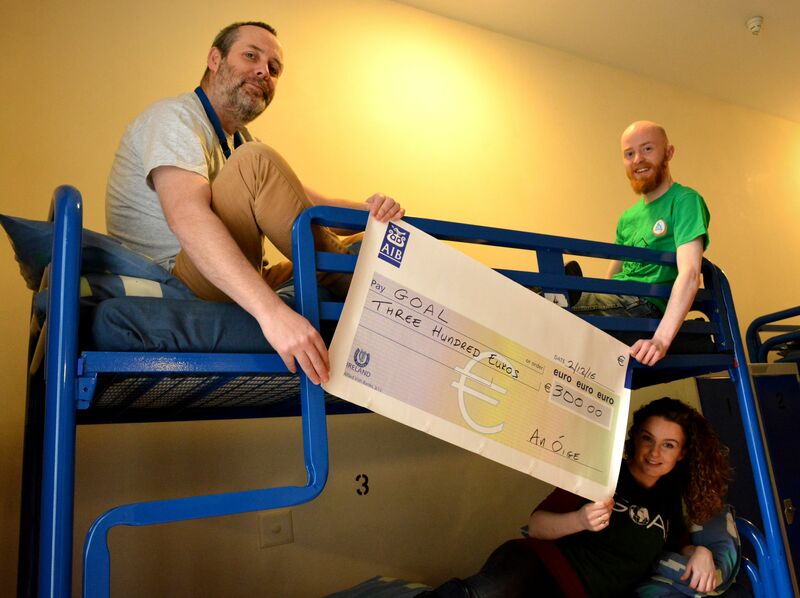 Hostels in Ireland have put a lot together to guarantee a serious ripple effect in the country and around! Check their article for full details of what they are preparing. All the hostels below will be raising funds for GOAL, an international aid charity. Many of them will also host workshops about peace and outdoors activities for high school students! Get in touch with the hostel closer to you to see how you can take part in their activities! Check out for the official #SleepforPeace postcards the hostels will be distributing for you to send your messages of peace around the world! HI Rabin Hostel: Take part in a special activity on tolerance during an educational instructor course. Also, a guided walking tour in Jerusalem will take place. Not to be missed! HI Beit Shean: “A song for peace”: you will have the chance to attend a musical performance and a public guided singing. HI Haifa and HI Akko: The two hostels are inviting you for special educational programmes and talks about the Sleep for Peace week! 5 other cities will host educational social games called “nice to meet you”. Get in touch with the association to know how and where you can join! To show their full commitment to the cause, the staff members will also undergo a special training and meeting oriented on peace, on the importance of optimism in education activities. 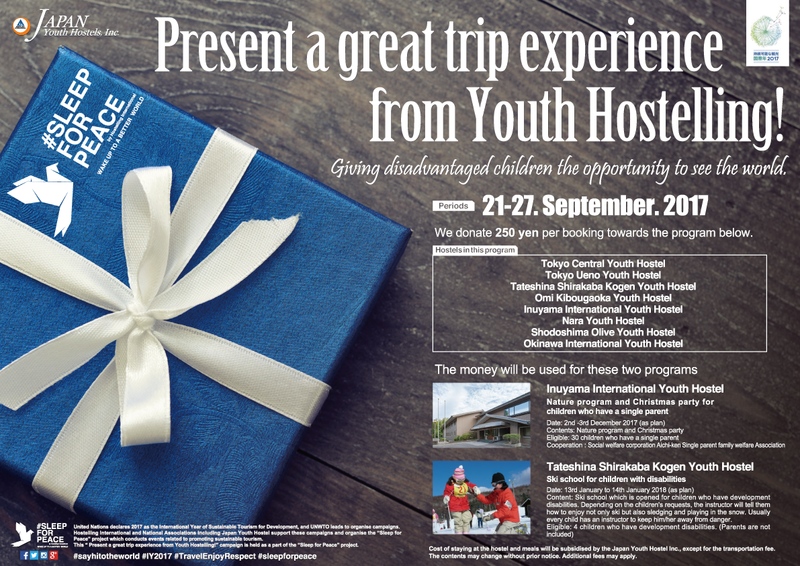 During the Sleep for Peace Week (21st-27th September 2017), HI Hostels in Japan will give JPY250 per person per night of the overnight fee to provide disadvantaged children the opportunity to see the world. Donated money will be used for the Nature and Christmas programme for 30 children with single parent families in December and will also support a ski school for children with disabilities. Life-changing for sure! Click here to know more about their heart-warming project. So many hostels in the Netherlands will be expressing their support and encouraging you to meet and discuss! Stayokay Den Haag: The hostel will take the opportunity of Sleep for Peace to educate guests about sustainability through a movie night. To enjoy with a side of pop-corn ;)! Stayokay Amsterdam Stadsdoelen: A comfy selfie station? Yes please! The hostel continues the tradition to install a bed for guests to take selfies and express themselves! Did someone say “Pizza for Peace”? Could this get any better? The staff at our Queenstown Central hostel, besides from having heart-warming pizza waiting for you, will also host you with their hippies outfit to celebrate and meet. They will also have constructed a special Peace Tree for you to leave your peace message on. Staff at the beautiful Queenstown Lakefront hostel will be adopting the same dresscode, will also have a Peace Tree for you to write and read and, as a bonus, you will find a special gift on your bed upon arrival… Curious? Check-in and you`ll see what`s there waiting for you! Belfast International Hostel: Throughout the week you will find a washing line with messages for peace in the lobby and the official posters for you to engage with strangers in a meaningful dialogue. On Thursday 21st, join for a vegan cooking night and activities to get to know each other! On Friday the 22nd, a special walking tour will be organise to Belfast’s “Culture Night” which showcases different creative expressions of Art and Culture in Cathedral Quarter. Make sure to take part in one of the activities to give an extra dimension to your stay in Belfast! Take part in an activity where you ill be asked to reflect upon what your contribution in promoting peace in the world is. Some Yoga and meditation will be organised, and, wait for it, “Make waffles not war”! Travellers and locals are invited to enjoy free waffles and coffee. Yes please! Folk art exchange: Guests will present a folk art item that they have either made themselves, is from their hometown, or from somewhere they have visited. There will also be an origami event (making of cranes and doves), accompained with serving of Fairtrade tea and local apples with honey. Peas for Peace is back! Warm your heart with a few scoops of soup in company of fellow travellers. An other activity will take place, called “Elvelangs” – a torchlit walk along the river with more than 100 cultural shows, visit to the Nobel Peace Centre, there will also be a peace wall where you can write peace messages and make origami doves, as well as a poster with suggestions for other peace related activities. Qatar Youth Hostel will arrange a big conference with on 21 of Sep in the presence of community influencers, all buildings of Qatar Youth Hostels will be lit up in blue for the occasion! Yu have to be ready for a Sleep for Peace cake, a discussion panel on peac, a one day camp for young people will be held under the them of ” peace ” to teach the youth the important of intercultural diveristy and much more! 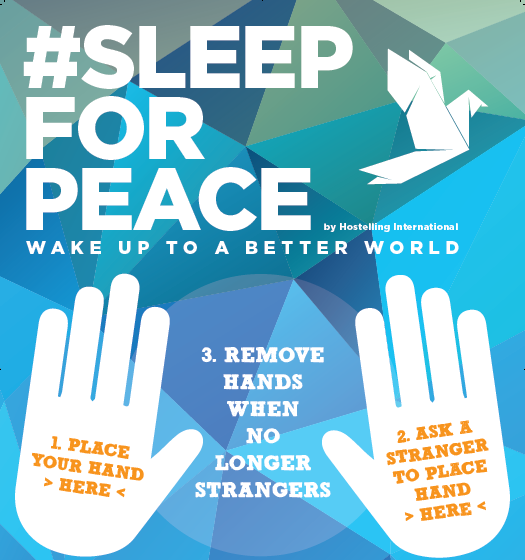 Get on board and make sure you put your hands on the Sleep for Peace poster that will be put on the walls. You will receive the exclusive Sleep for Peace postcards ti send out to your family and friends or to leave together with a note on the hostel wall! The poster will be there for you to meet strangers and start conversations. A meaningful day to get the words of peace going! Staff is organising something nice for you to get involved. Stay tuned for more details! Hostels Celje, Slovenj Gradec, Pekarna and PUNKL will have on display a mosaic of nice thoughts that you will be invited to contribute to: prepare your wise words, inspirational quotes, and dreams of peace to leave a trace at the hostel you will be visiting! Olympic Parktel Hostel: This one already happened! Proving that peace-building is a year-long effort! During the 42nd World Youth Rally that occurred in July 2017, a complete morning was designed to address Sleep for Peace – a representative from HI made a presentation about Sleep for Peace, the history and purpose of the programme and link between the SDGs, Tourism, Peace and Hostelling. The nearly 150 participants were left with some questions to be discussed between them. – The participants were asked to build their mindmap about peace in teams; discussions about current conflicts, cultural differences, dreams and visions were ignited. – Participants were asked as a second activity to write down where they think they would see themselves in 20 years and tried to link it with peace. – We then surveyed to see what were the languages represented in the room and one speaker of each come on stage to teach the others how to say “peace” in their language. – All activities were focused on SDG 16 and on learning, understanding and being curious about different cultures. 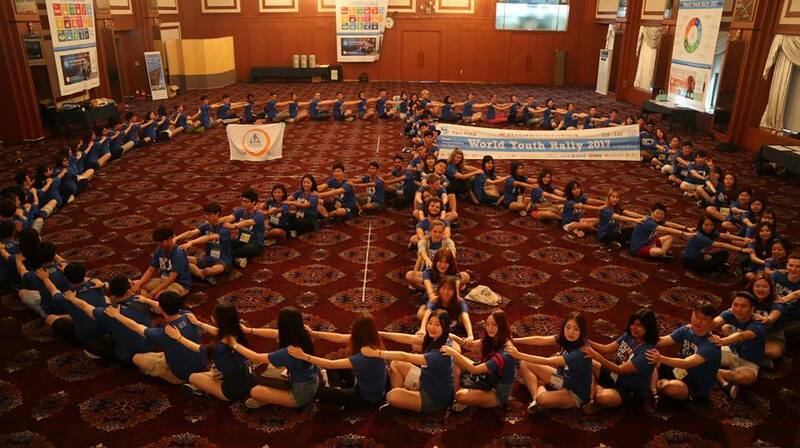 This event was truly inspiring and involved young travellers from China, India, Hong Kong, Germany, South Korea, Taiwan. Our Swiss hostels will be in to celebrate as well! At the same time as showing their support on social media channels and on their website through articles and promotional material, they will invite all guests to be creative and do origami peace doves with the provided material! Sleep for Peace artworks will also be created in artistic workshops and you will see the official posters decorating the hostels` walls. Don`t forget to put your hands on it! As September 21 is special holiday in UAE, they will be celebrating “SLEEP FOR PEACE” on September 26, 2017. A group of students from UAE and Philippine community will take part in an educational activity, where they will learn to say “peace” in different languages, read an essay about peace, etc. The General Consulars of different countries such as Philippines, India, Pakistan, Kuwait, Saudi Arabia, Egypt, Oman, will also take part in the events, with the special participation of delegates from Dubai Disabled Club, and different organisations and Governmental Department of Dubai and Sharjah, volunteers from Dubai and Sharjah, Dubai Police and Sharjah Police as well as guests and staff. A great encounter of various stakeholders, enabling engaging discussions and the expression of different points of view. 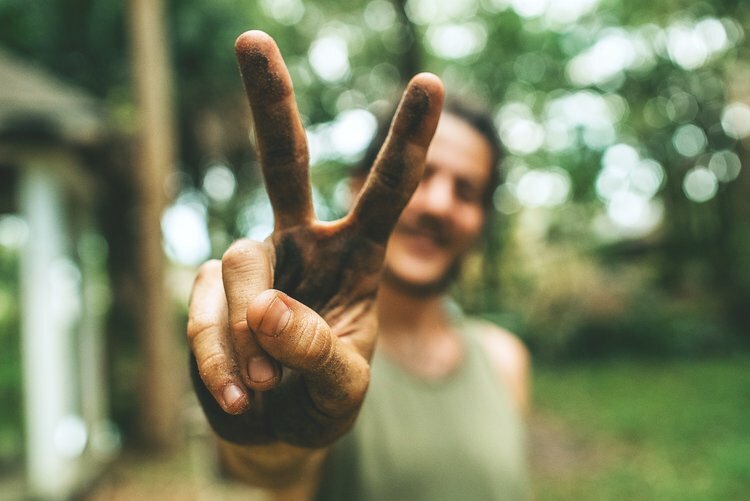 El Viajero Hostels Montevideo and El Viajero Hostels Colonia will be taking part in the peace-building movement and spread the shared message – “Wake up to a better world”! Entire mosaics of cards will be created with the postcards written by guests. Put your words to work and leave your peace message! 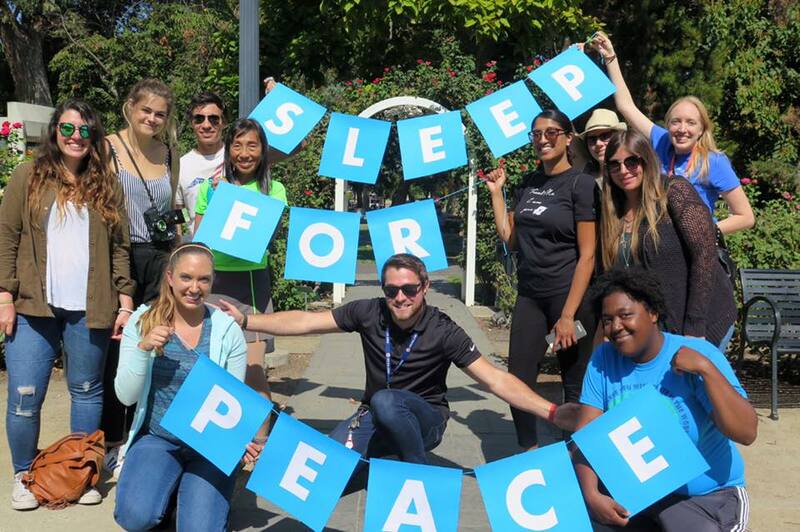 As Sleep for Peace started in 2013 in the USA, the hostels are committed to the peace building movement and are preparing a lot for you to take part in, in all corners of the country! Make sure you get involved! HI Austin: The Sleep for Peace celebrations will happen in conjunction with Explore the World Travel Scholarship celebrations: two meaningful events in link with youth travel. HI Chicago: 21/9: Come and share a meal whilst discussing upon the role of tourism in peacemaking. 25/9: Speak for Peace: A training is organised on how to have difficult conversatiions, facilitated by the Director of Engagement and Partnerships with the Institute for Policy and Civic Engagement through the University of Illinois at Chicago. Don`t miss it! HI Houston: September 21st will be the kick off date, from which blue lights will be turned on in the hostel. All staff is going to wear blue attire, and the poster will be on display for you to meet, discuss and encourage Peace. HI Madison: The hostel will be spreading the message of peace with the posters: Wake up to a better world! blue lights and a content-driven programming will be on. Some social hours are planned to help guests and all to focus on the topic of peace. HI Malabar Farm: The hostel will be spreading the message of peace with the posters: Wake up to a better world! blue lights and a content-driven programming will be on. An open house is planned! HI Mississippi Headwaters: The hostel will be spreading the message of peace with the posters: Wake up to a better world! blue lights and a content-driven programming will be on. You will be invited to celebrate Sleep for Peace celebration in conjunction with the 25th anniversary! HI Monterey: 22/9: Take part in a Peace Meal. Discover new people, new flavours, new ideas. HI Pigeon Point: Third and main night of several Stargazing for Peace events from 9/21-27/2016. Explore the vast universe from the star-friendly grounds of Pigeon Point while bonding with fellow travelers. Participating guests will meet their guide in front of the hostel office. Telescope and star maps will be provided for you to enjoy the wide skies! 22/9: SOLACE: Solace Meditative Music Hour is live meditative music, sharing chants, hymns, and songs from various spiritual traditions. Immerse yourself in a new musical and spiritual experience! HI Portland Hawthorne: 21/9: Get to know other event goers during the hosted Welcome Social, followed by a delicious vegan dinner. With full bellies and new friends you’ll embark on a two hour workshop focusing on cultural competency, using non-formal learning techniques. The CLARA method of de-escalation will be shared and during this group-taught experience attendees will practice using basic skills of communication in conflict. You’ll leave the event feeling inspired and prepared with a new toolkit of skills that help you recognize, gracefully engage with and navigate difficult conversations. Space is Limited. RSVP strongly encouraged via EventBrite! HI Sacramento: Bike-In Movie Night for Peace! HI San Francisco City Center: 21/9: In honor of this year’s Sleep For Peace, the hostel is hosting SEASON of the WITCH: A Stevie Nicks Masked Ball! We celebrated the sun, with our Summer Soltice Seance and now we will shine blue with the moon! A live performance from the Girls of Fleetwood Mask! Vending from Eyescream Jewelry, Haunted Manor, Bantam & Brave Apothecary, and Fox and Moon Tea! We encourage guests to dress up in their favorite ‘witchy’ style for a night of music and magic! A $3.00 donation is suggested for A Woman’s Place (shelter in San Francisco). HI Downtown: 18/9: Simply the Basics: Guest and Community volunteer opportunity – Hostelling Internationals Sleep for Peace and the U.N. International Day of Peace is the week of the 18th so HI San Francisco Downtown is hosting a volunteer opportunity for guests and community members with their partners, Simply the Basics. Simply the Basics is an organisation in which provides individuals, organisations, and communities their most basic needs with dignity. Simply the Basics mission is exactly in-line with the theme of this years Sleep for Peace, “Wake Up to a Better World,” And The UN International Day of Peace, “Together for peace: respect, safety and dignity for all.” Our guests and community members will create packages of necessities for individuals who are in need and organizations who provide for them. 19/9: Bike for Peace: Bike for Peace will take guests on a peaceful bike ride along the bay to the Golden Gate Bridge to Sausalito. We will make a special stop to the Gandhi statue at the Ferry Building and incorporate meaningful discussions with guests about Sleep for Peace. 20/9: SOLACE: Anthony Jones of Hostelling International San Francisco City Center will be coming to Downtown to host Solace. Solace Meditative Music Hour is live meditative music, sharing chants, hymns, and songs from various spiritual traditions. HI Fisherman`s Wharf: 21/9: Blue Lights will be turned on at the Front Desk and Café Franco. All staff is suggested to wear blue attire to embrace the movement. There will be a high push of the shared message “Wake up to a better world” on all Social Media platforms. 21/9: Images of Peace – In Celebration of Sleep for Peace, we will invite Facebook followers to post images of peace using the hashtag #SLEEPFORPEACE. 21/9: Flags of Peace – Interactive Art Event: Following the The Peace Flag project. Guests are invited to participate in making Peace Flags that will be hanged in the hostel. “Each Peace Flag is a small step toward peace, and many small steps can add up to great things. 23/9: Mission District Tour – In celebration of Sleep for Peace, the Mission District Tour will integrate the shared message “Wake up to a better world” in the conversation. 24/9: Blue Light Acoustic Sesson – A continuation of a new tradition, previously called Blue Light Blues session. Local musician Bryce Majors will perform at Café Franco to use the universal power of music to create a positive social change using the shared message “Wake up to a Better World”. 25/9: Movie Screening and Discussion: Before the Flood – A documentary featuring UN Messenger of Peace Leonardo DiCarpio. The film presents a riveting account of the dramatic changes now occurring around the world due to climate change. HI Seattle: 23/9: Pies for International Day of Peace – We will be having “Pies for Peace” at HI-Seattle, in partnership with the Seattle Cookbook Club and Seattle Baking Buddies. Everyone will be teaming up to bake lots of delicious pies with prizes for the most popular pies! 20/9: Eat for Peace – HI DC volunteers will prepare an international dinner and raise awareness about our Sleep for Peace Campaign and International Peace Day during the meal. 22/9: Music for Peace – Local musician Vanny will perform at the hostel peace songs. Hostellers will have an opportunity to sing along. 23/9: Peace Conference: Addressing Mass Incarceration in the U.S. – The 2017 DC Peace Conference, which is also a celebration of Sleep for Peace Campaign, aims to raise awareness about the mass incarceration crisis and its negative impact on marginalised communities in the United States. Here for more information! HI Los Angeles/Santa Monica: 18/9: Art instillation – From Monday, Sept 18th to Friday, Sept 29th we will have an art installation on the main wall in our lobby. The installation gives guests the opportunity to write/draw/express their feeling on the topic of Waking Up to a Better World and Peace by writing on individual feathers. The feathers (which are various colors of blue paper) will be layered and taped to the wall in the shape of wings. Guests will be able to do 3 things here: make a feather to add to the wings, view/read the existing feathers, and take a photo in front of the wings to share on social media (like the angel wing graffiti pieces that are popping up around the world). 21/9: Morning Coffee – The morning of September 21st, guests will Wake up to a Better World, in celebration of Sleep for Peace. We will host a morning Coffee Hour in partnership with Kaplan International English. Here we will welcome both our guests and Kaplan students. HI Point Loma: 18/9: Peace Puzzle – Interactive word hunt game with a prompt to use words found as a way to discuss waking up to a better world. 21/9: Scavanger Hunt – We are encouraging guests to try a fun local scavenger hunt designed to bring peace awareness to both hostel guests and the community. The Point Loma neighborhood is filled with symbols of peace, environmental activism, pet advocacy, and the spirit of kindness so it seems fitting to explore the ways in which peace prevails in our local culture. Guests will partake in up to 10 hunt tasks each taking turns becoming a voice and or example of peace and dispersing the messages of each task into the community. The hunt will also help guests to discover ways in which our community continually sends it’s own messages of peace year round. 24/9: Beach Cleanup for Peace – With a local environmental group, hostel guests are invited to honor the week of Peace and head to the beach for an environmentally peaceful beach clean up. Local clean up organizations will provide guests with gear and explain the appropriate ways to clear the beach of unwanted debris. HI San Diego Downtown: The entire month: Warm Feet for Peace: socks will be donated to Veterans Village of San Diego to be distributed to veterans and their families in need. 3/9: Rhymes for Peace – Our mixtape will be sold at our Monthly hip-hop cypher where the theme around this month’s meeting will be peace. Last year rappers rhyme about what peace means to them, their struggles in finding peace, and how they think peace can be achieved. As the cypher has been growing exponentially, we are looking forward to hearing our newest collaborators interpretation of peace. 21/9 Sleep for Peace – Special dinner and discussion to bring awareness to the United Nations’ Day of Peace featuring movie screenings, free food, and games. HI NYC: North and South Korean hosts will teach guests and community members to make bibimbap and discuss its cultural relevance. Then there will be a facilitated dialogue, talking about culture, politics, unity and disunity. Speak for Peace programming with Harlem Cultural Collaborative. HI Marin Headlands: Pajama party with karekoo, dancing and interactive art followed by “Wake up and Get Woke!” brunch and discussion about inner peace. 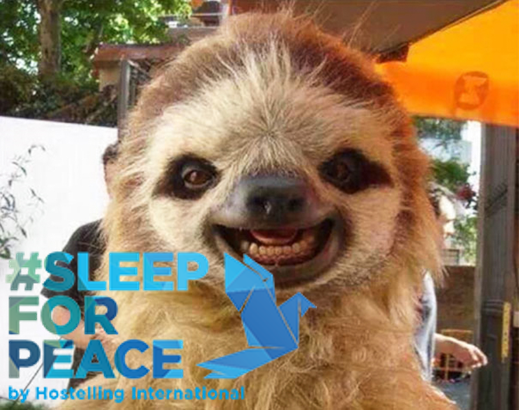 Look out for the official #SleepforPeace postcards in any participating location, grab a few and send a peace wish to your friends, family, or us at Hostelling International! We are keen to read your thoughts, wishes and actions for building a more peaceful world. Please send to: Hostelling International, 2nd floor, Gate House, Fretherne Rd, Welwyn Garden City AL8 6RD, UK. Have you checked this Facebook page yet? That`s where you`ll see the pictures of events happening all around the world and also where you’ll find the cool and official Sleep for Peace frame for your profile picture to show your support to building a more peaceful world. You could look as smooth as this. Seriously. You can read more about the UN International Day of Peace here, and about the World Tourism Day here.